Yes, it’s Friday again, and as I have missed a few I thought it was time to catch up. Lots of projects on the go and all going well. 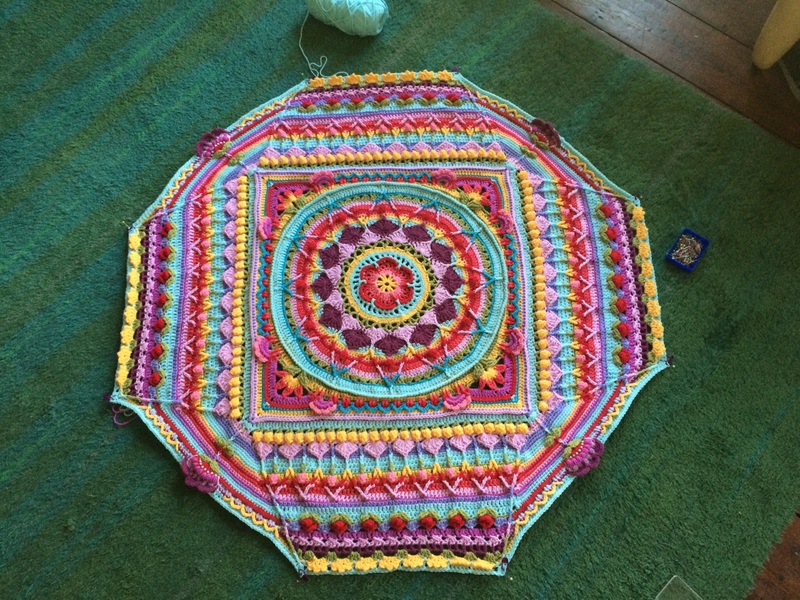 Sophie’s Universe is now over one metre wide and still growing. I really look forward to each clue being released so that I can see what will happen next! 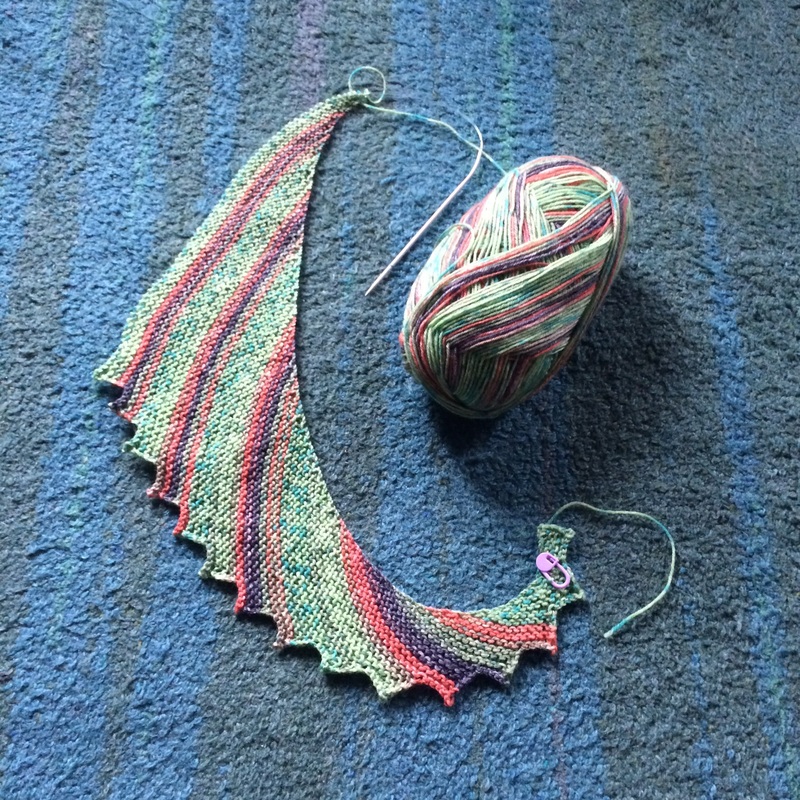 This week I also cast on a new shawl – Hitchhiker by Martina Behm – using Opal sock yarn on a 3mm circular needle. 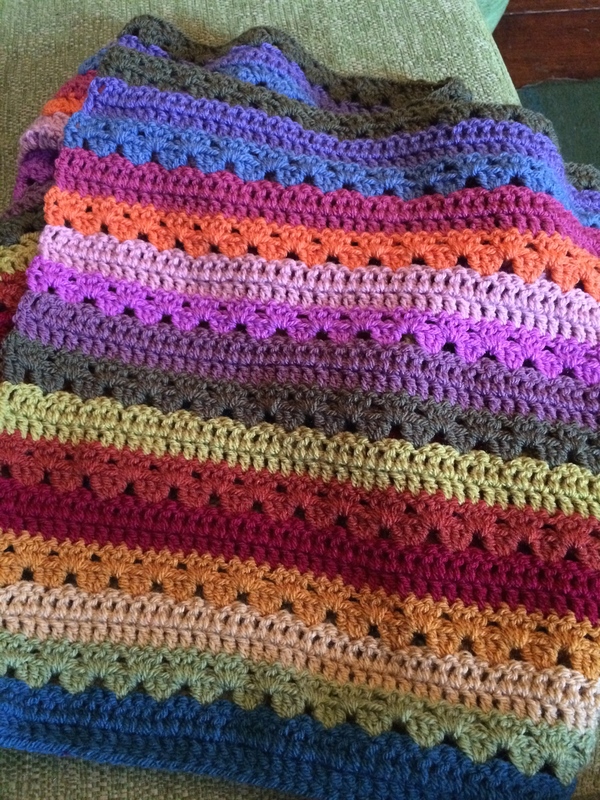 I’m 15 teeth in and I can tell I’ll definitely be knitting this one again. 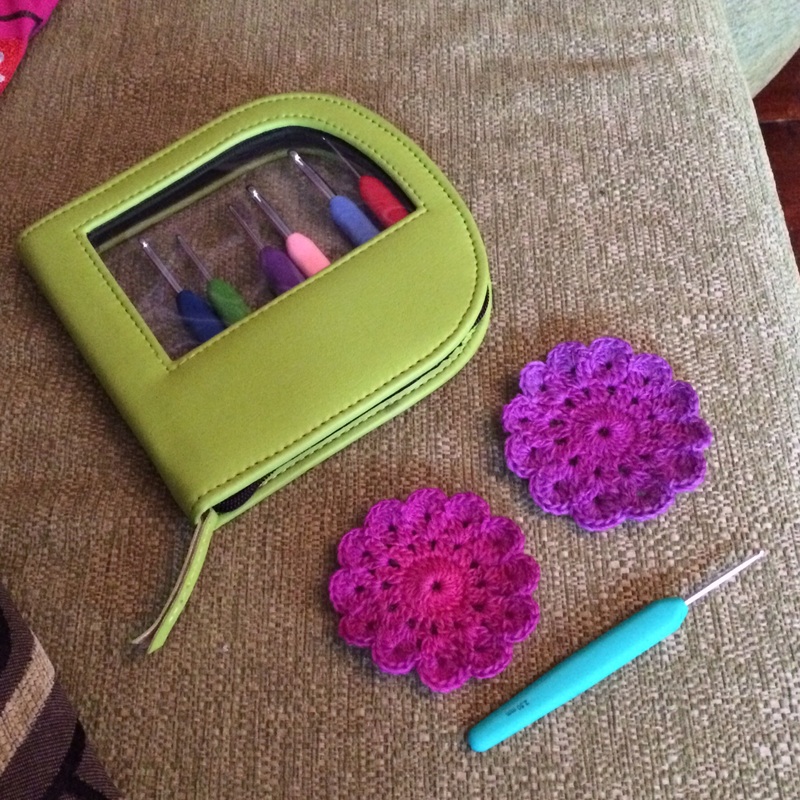 I also had a quick make yesterday – coasters to pop into our Mother’s Day cards – hope they like them. Finally we’re at the end of what seems to have been a really long week. But things have been done, projects carry on, books are being read, and now we have reached the weekend and it’s time to relax! 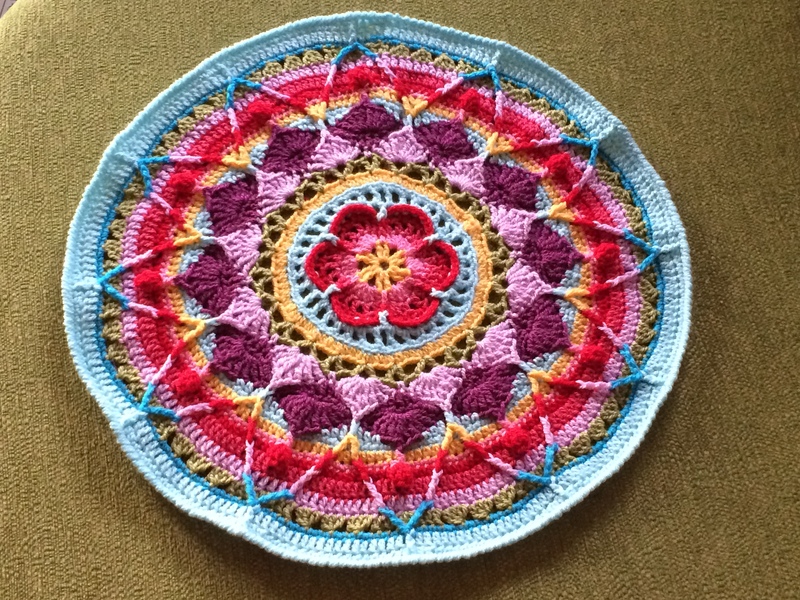 I am really pleased with my continuing crochet project, Sophie’s Universe. This week took a lot more concentration, and a lot of counting, then some frogging, and then more counting! But it is glorious, so definitely worth the struggle! Well, it’s been a fairly quiet week, mainly due to wintry illness and lethargy! 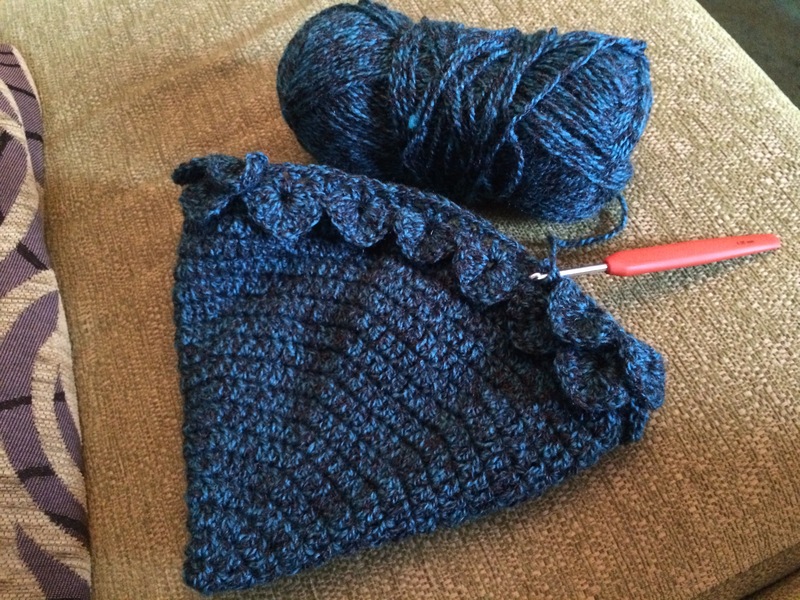 The television has been watched, most notably ‘Wolf Hall’ – gosh, that is good – books have been read, and yarny crafts have been in hand whenever possible. Please excuse the poor photo – there was no one around to take one of me so this not-so-good selfie will have to suffice! It’s lovely and warm though, and made in Stylecraft Extra Special dk with a 4 mm hook, my usual weapons of choice! I finally finished reading ‘Love, Nina’ this week too, It’s been my book at bedtime in January, nothing too heavy, you can dip into it, read a couple of pages, leave it until the next night, ideal for me. If i read nothing else all day at least I know I have read a page or two at bedtime! So tonight I will begin something new, not sure what yet. And it’s Friday! Hoping to get out for a stroll this weekend, breathe some fresh air, maybe find some snowdrops, oh and cast on for the Sous Sous KAL too, but more about that next week! So, this week has been all about CALs, and KALs, and MKALs. 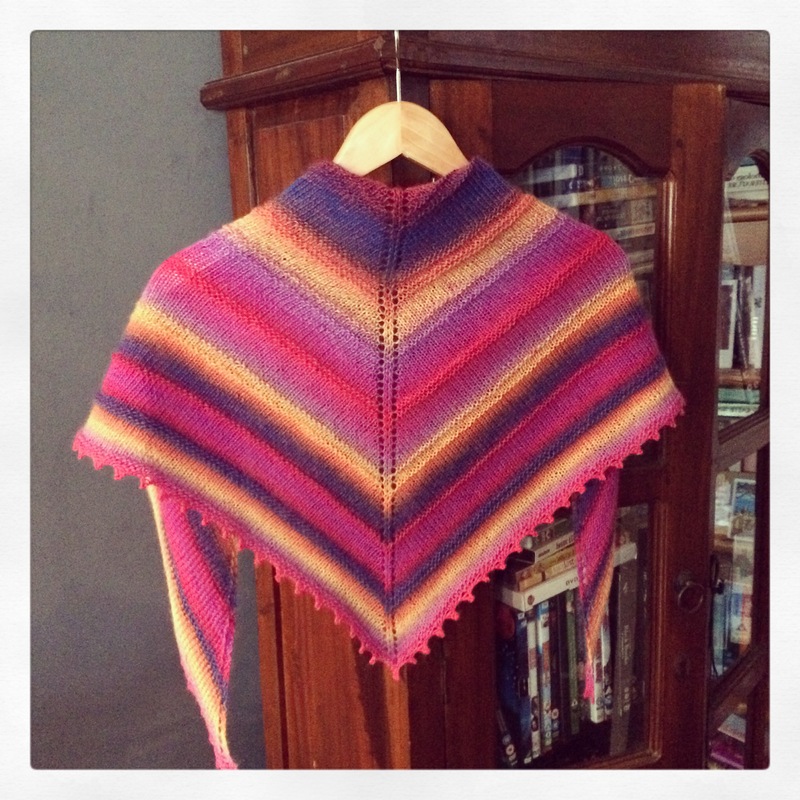 For those who may not know these are events where groups of crafters all knit or crochet along together – see, Crochet A Long, and so on, so clever and cute, I love it 🙂 And the MKAL is a Mystery Knit A Long – even more fun to be had there, as you don’t know where the pattern will take you…! 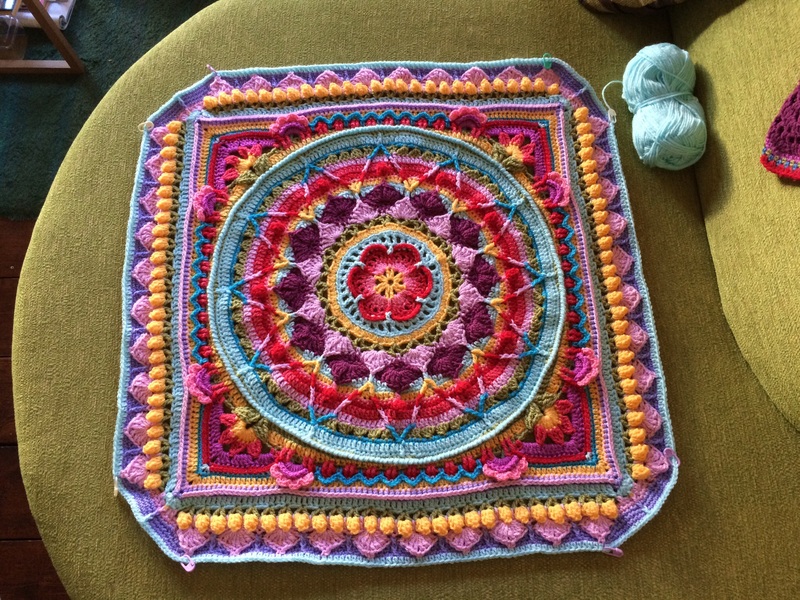 So the first one I started is the Sophie’s Universe CAL. Parts 1 and 2 were released on Sunday and in the evening I gathered my yarns and hook together, settled down with ‘Call the Midwife’ and a glass of rosé, and began hooking. The instructions are really clear, with a great round by round photo tutorial, and I’m really pleased with how mine came together. 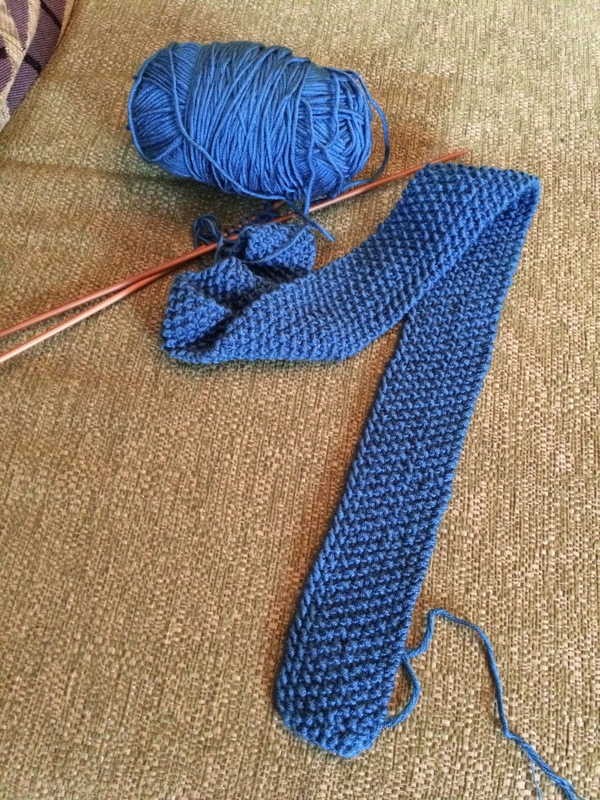 I’m using Stylecraft Special DK with a 4mm hook. Looking forward to the next clue 🙂 Then on Monday a new MKAL began in a group on Ravelry with a pattern from Ysolda Teague. 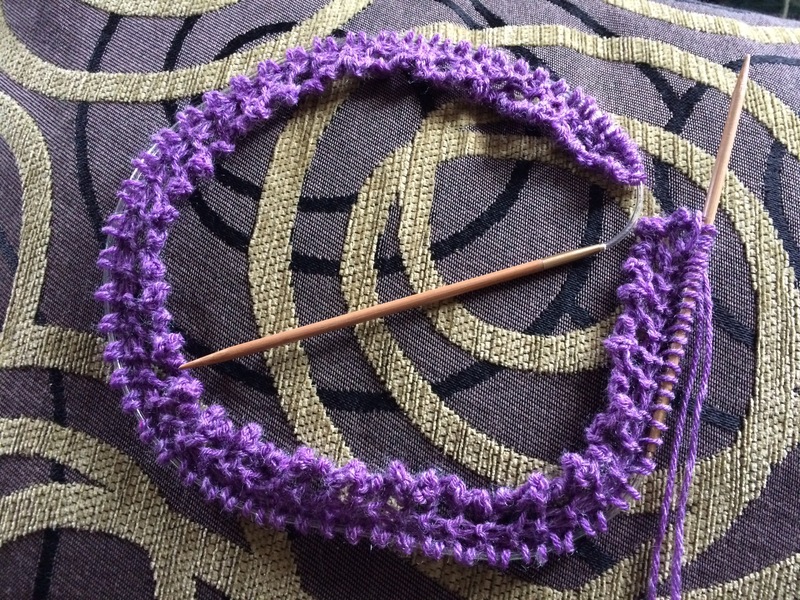 The final piece will be a shawl and mine is in 4ply Stylecraft Life on a 4mm circular needle. Another Friday already – and am I glad! There is something about Friday that feels full of promise, anything could happen, the whole weekend ahead – in reality it will probably be just another weekend but for now the promise is there! Still not finished the tie, but it’s getting there. 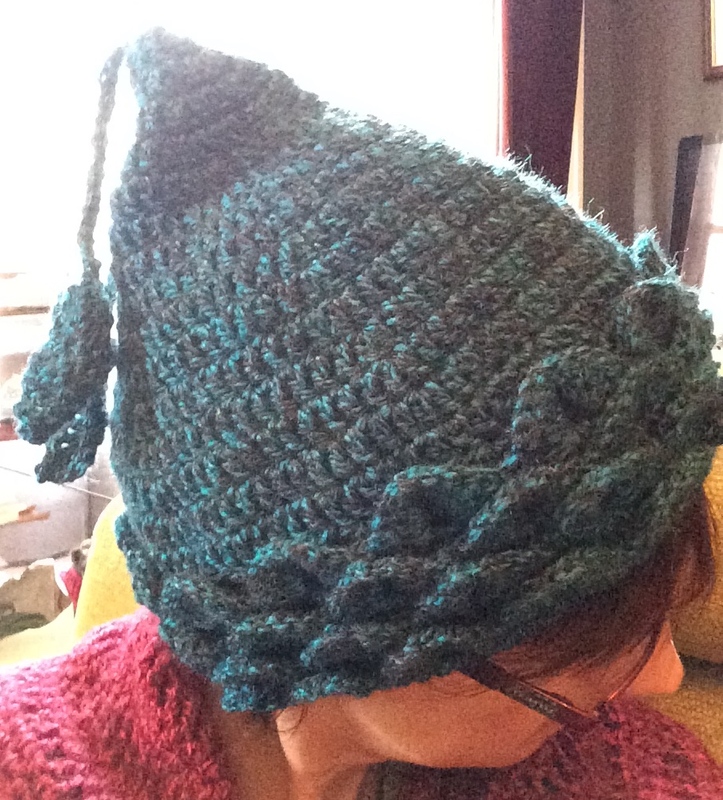 And the hat needs one more round, so should be done today. 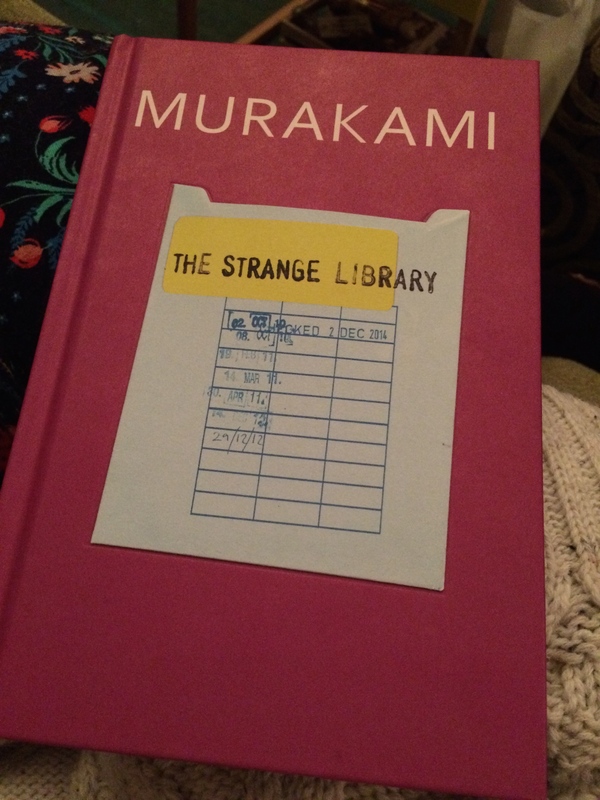 I also finished reading ‘The Strange Library’ by Haruki Murakami. It’s a charming little story, and reminds me of a book I could have read as a child, or read to my own children. Although it is darker, it just has that feel to it. I’d be interested to know what others think. And that is this week. I’ve been finding lots of new CALs/KALs that are about to begin. 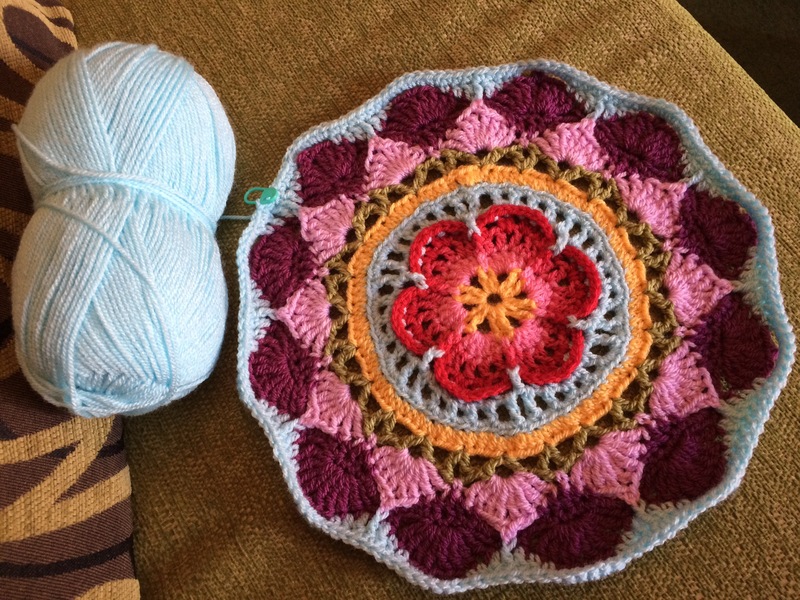 So if I can finish these current WIPs I can get some new projects on the go – what fun! 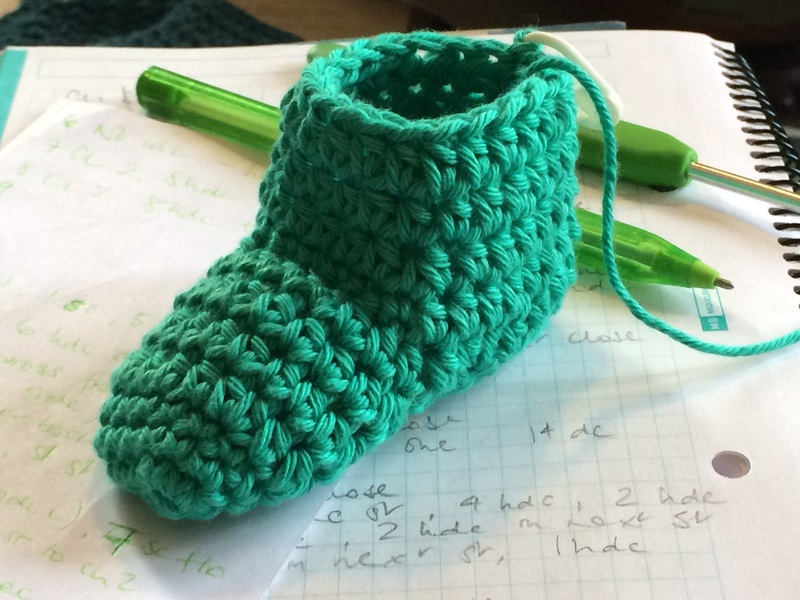 I’ve decided to keep a project diary, where I’ll keep track of all my knitting and crochet projects, plus any other craft-based ideas I might have along the way. I’ll include the details of the yarn I’m using, the hook or needle size, even the yarn shop/website the yarn came from, if necessary. Then I can track my progress, and see how I’m getting on. And I thought it might be an idea to add the books I’m reading, just so I have a record of those too. As well as any fabulous recipes I come across, and the results if I try them out! And find time every Friday for a regular update here, to share what’s happened throughout the week. Haruki Murakami – The Strange Library. A Christmas gift – loving it so far. Nina Stibbe – Love, Nina. This is my book at bedtime – light, and easy to read, and fun. Not too troublesome before I nod off. And today I read a recipe for Apple Cinnamon Loaf posted on Facebook. It looks yummy so I may just have to try it out this weekend – I’ll make sure to let you know.